Ok here it is, the grand finale of Asian week...the dessert! 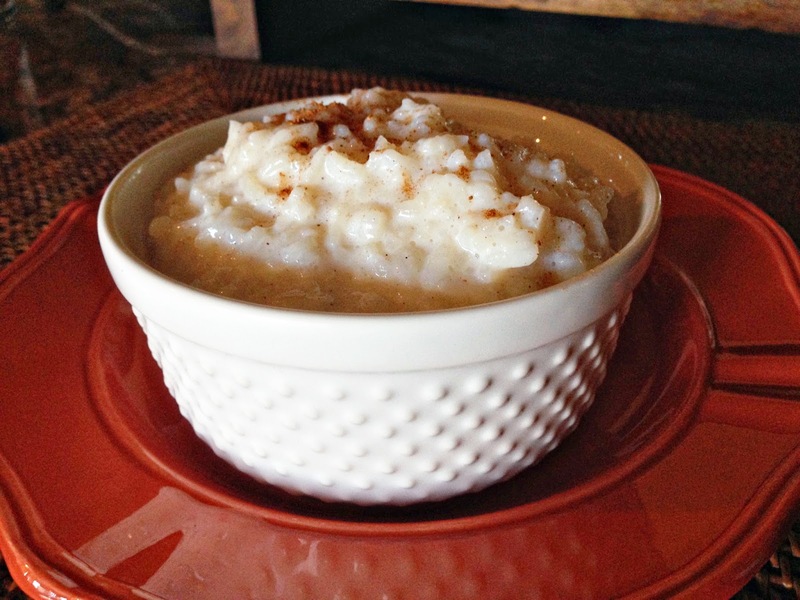 With my Chicken Lettuce Wraps appetizer and Beef and Broccoli entree, I rolled out one of my favorite desserts, Rice Pudding. I spent a week in Jamaica for a friends wedding a few years back and one of the desserts I discovered was rice pudding. I had never seen or tried it so the expectation in my head of what it was, couldn't be further from the actual dish. I was served a room temperature version in Jamaica and it was creamy and sweet, but not too sweet. I knew that would not be the last time I would enjoy that dish. I came home and continued to whip it up left and right. My favorite thing about this dessert is the versatility. You can enjoy it plain or add in anything you want: raisins, nuts, fruit, etc. It also serves as a yummy mid-day snack if you have any leftover! **You can use long or short grain white rice instead if you aren't a minute rice fan - just know that the cooking time is longer. In a medium sauce pan combine the milk, rice and sugar. Bring to a boil, then reduce heat to medium and let cook, stirring regularly until the sugar is dissolved, the rice is cooked and the mixture has thickened to a thin oatmeal consistency. Remove from heat; stir in vanilla and cinnamon. The mixture will thicken as it stands. Serve at desired consistency. If it gets too thick, stir in some warm milk. You can serve it warm or cold. I like it warm for dessert and cold as a snack. Next time try it with a cinnamon stick instead of ground cinnamon. Just take out the cinnamon before you serve the pudding. OMG it is so good!